DeLena Ciamacco: The Real Estate Expert: NEW LISTING IN GROVE CITY! A RARE OPPORTUNITY! 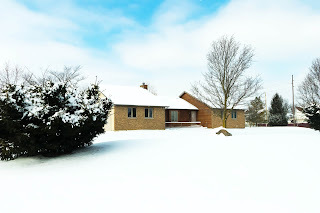 Nearly 2 acres in the path of development with a 1,600 SF+ Home with 2 car garage. Perfect location for Home Business/Office or future development. Located on the highly visible corner of Holt and Alkire Roads. Approx. 1 mile from I-270, and conveniently located near the Georgesville Square, Lowes, Kroger, Movie Theatre and many dining locations. The Casino is close by. City water and sewer. Many possibilities. 3 BRs and 2.5 Baths. South Western schools. Only $339,900! Call DeLena Today!